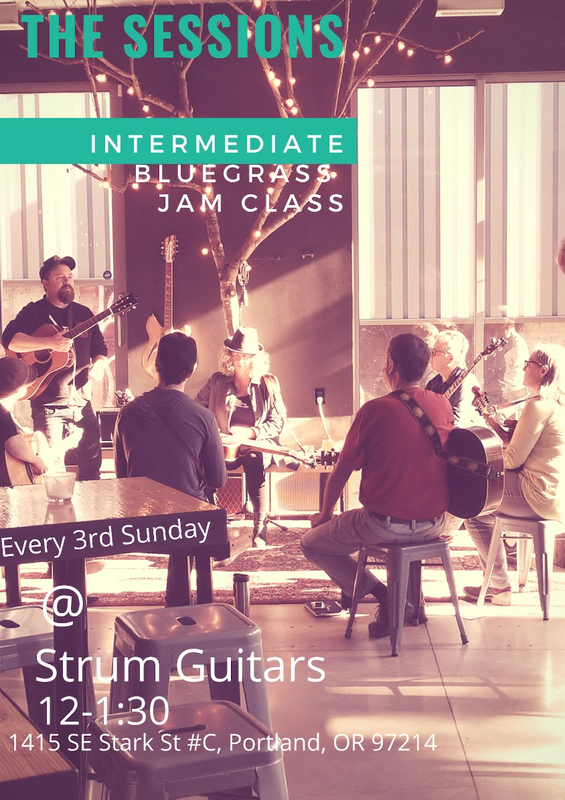 Taborgrass Intermediate Session at Strum Guitar this Sunday! 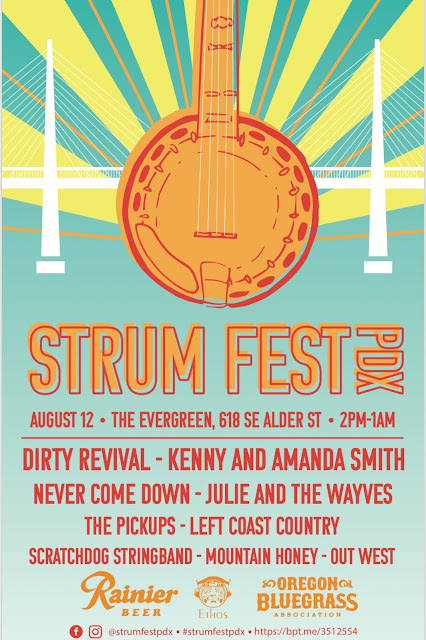 This Sunday, November 18th, Kaden Hurst and Patrick Connell will host a Session from Noon to 1:30pm at Strum Guitar, 1415 SE Stark. $10. More in depth discussion on how to improve your jamming skills. 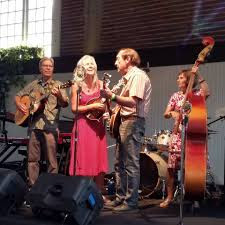 You can also see Mountain Honey performing at Strum Guitar on Wednesday November 14th 7pm to 9pm. Come join us, and check out the new venue. This information will be available each week at the handout table. Taborgrass Hosted 13 Separate Jams on Saturday Between 10am and 1pm! Greg counted them. Greg says “two thumbs up!” Thanks to our wonderful new location at Waverly, and thank you to our wonderful volunteers, and to all of you who make it happen. Taborgrass Open Mic This Thursday, November 1st! Our first open mic of the new season and new location. This should be exciting. Pizza and jamming starts 6:30pm. $5 per serving of pizza. Performances start at 7pm, asking $10 donation. BYOB and remember no food in the Sanctuary. This is a great way to get your feet wet on stage, (not literally) and play in front of a sound system and audience. Bring your songs, poems, stories, dances. All are welcome! Hope to see you here! Taborgrass Halloween Party and Costume Contest this Saturday October 27th! We will be celebrating Halloween with a costume contest at 11:30am. Always lots of fun! You are invited to display a bluegrass related theme with your costume. 10am to 11:30am West and East Classrooms, Office and Entry. Click here to download a PDF for the First Year Class and Second Year Class of the material that we will be covering for the entire class term through April of 2019 in the order I will be presenting them. This PDF is also available on our Music page. Looking forward to seeing everyone on October 6th! Shoegrass at Waverly, Sunday, September 16th at 4pm! free. Hope to see you there! Waverly UCC, 3300 SE Woodward St. Portland. Taborgrass Open Mic at Leif and Aileen Halvorson’s House, Friday, September 14th at 7pm. Leif and Aileen are inviting us over to their house for an open mic house concert. We're looking forward to a fun night. Hope to see you there! The address is 6005 N. Denver in Portland. All donations go to the Taborgrass program. Thank you Leif and Aileen! Stay tuned for more important announcements about some changes we are making to how the classes will be conducted going forward. We think everyone is going to love the new location and the revised schedule! Come join banjo-extrodinaire, Danny Barnes, 2015 recipient of the 6th annual Steve Martin Prize for Excellence in Banjo and Bluegrass, for a 2-hour-long banjo-masterclass. Anyone with a basic understanding of the banjo, both clawhammer and bluegrass, can join Danny for this workshop in bringing their skill to the next level. 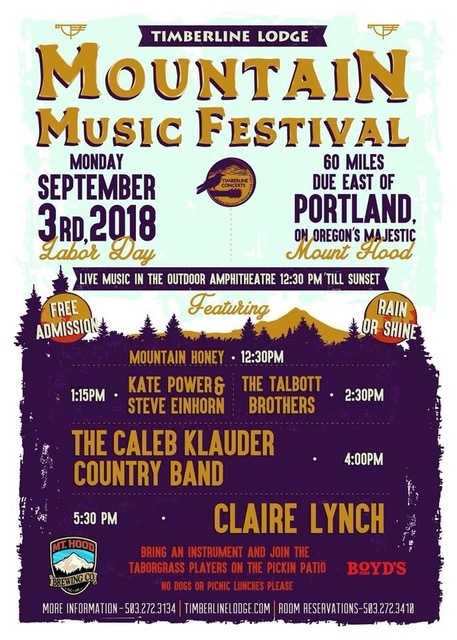 This is an opportunity for the student to bring any banjo-related questions they might have, as well as learning a new tune, obtaining new roll-pattern exercises, and learn some new accompaniment techniques. Now you can practice these tunes to a faster backup! Look for these added MP3s to the tunes on our Music page. Happy pickin! Banjo Workshop with Mike Eisler This Saturday! 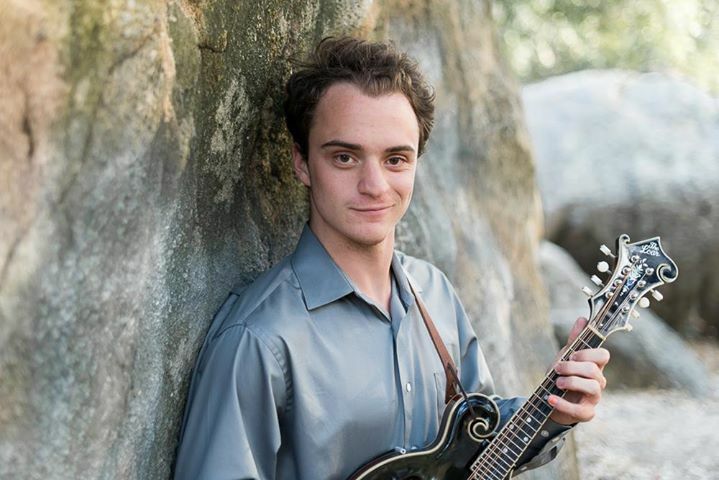 Taborgrass is very excited to have Mike Eisler conduct a banjo workshop for us this Saturday, March 24th at 11:30am. Mike has been active in the bluegrass scene since 1965 with the Sawtooth Mountain Boys, Vern Williams, Lee Highway, and currently Fern Hill. This is an excellent opportunity for you banjo pickers. Don't miss it. Cost is $10. 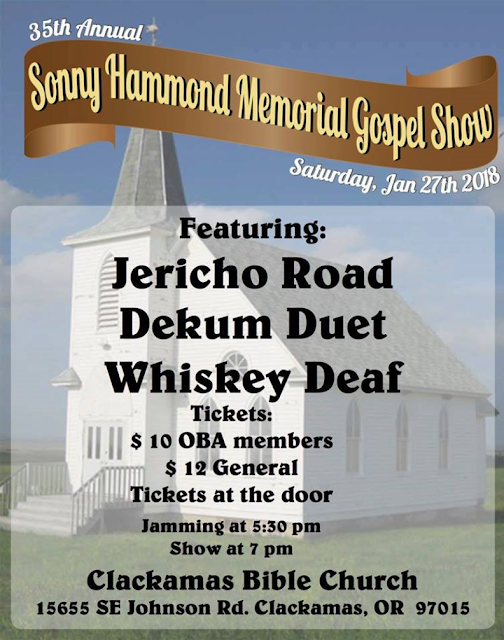 Hope to see you this weekend! 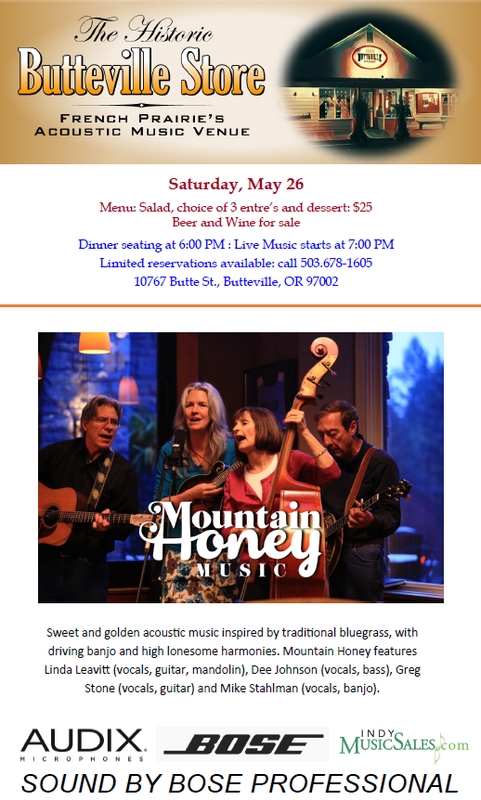 Mountain Honey at O'Connor's Wednesday 7pm. Vocal Workshop with Linda Leavitt and Sessions with Kaden Hurst this Saturday! and harmonies. This workshop is very popular, so come early. Cost is $10. Enjoy and see you Saturday! Fiddle Workshop With Annie Staninec This Saturday 10th! a good seat. Cost is $10. We have a new song to work on together! White Dove. Find it on the Music page. Fiddle Workshop with Annie Staninec at 11:30am Saturday. Linda and Greg are playing at International Hostel Tuesday! Linda and Greg invite you to the International Hostel on NW 19th and Glisen this Tuesday night from 7pm to 9pm in the Cafe. They will be singing some nice harmony duets. We'd love to see you there! Beer and Wine and casual Cafe menu. 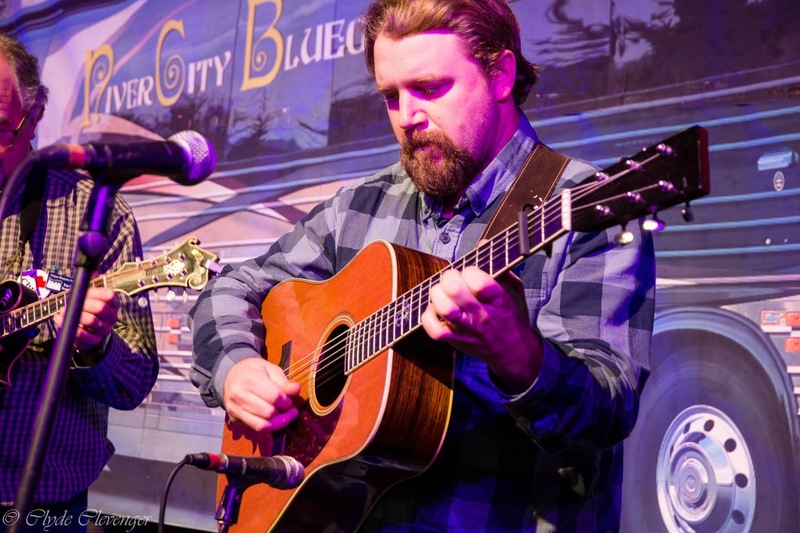 Greg Stone will be giving a guitar workshop this Saturday, March 3rd at Taborgrass from 11:30am to 12:45pm. He will cover various picking exercises for your warm ups. We will also practice some two note arpeggios and double stops up the neck to enhance your leads. Free with class admission. And here's a reminder about Friday night's Open Mic! We will be looking for bluegrass bands with members from Taborgrass alumni to perform at Dave Elliot’s “Taborgrass Night” at his Saturday evening show on April 14th at the Multnomah Grange 71. We are looking for bands that actually play BLUEGRASS MUSIC. It should be lots of fun! This event has become very popular. Of course, every genre is welcome. If you don’t want to perform, please come and be a supportive, appreciative audience member. Stanley Brothers play Angel Band, See you tomorrow at Taborgrass! This is one of the tunes the morning class will be working on tomorrow. 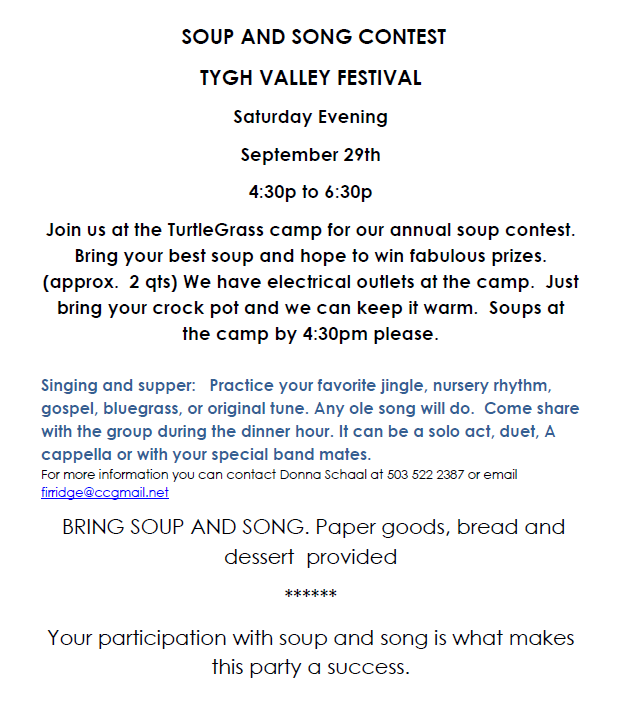 I’ll be up in Bellevue at Wintergrass, but Hugh Heinsohn will be leading the classes tomorrow. 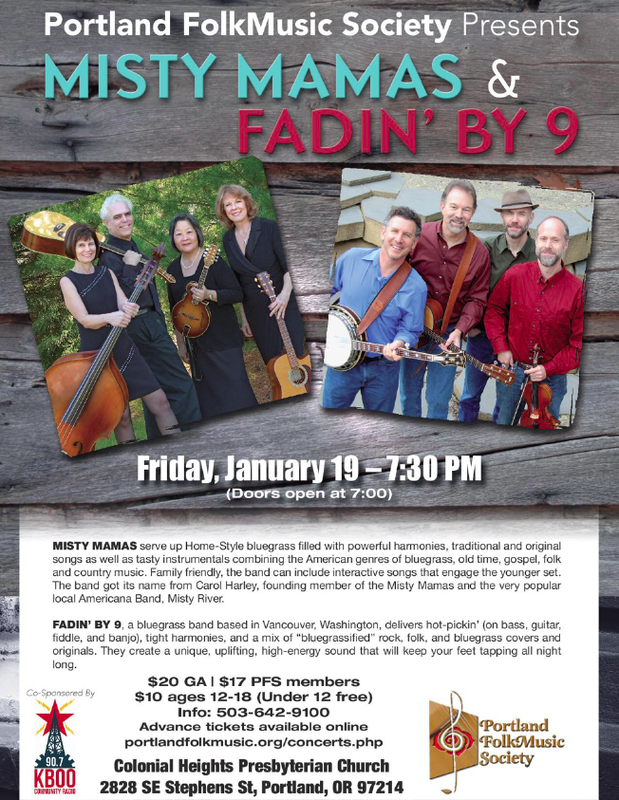 If you’re not up here in Washington, I hope you can make it to Taborgrass tomorrow! Our first Fastbacks have arrived for the tunes Cripple Creek, Liberty, Red Haired Boy, Old Joe Clark, Soldier’s Joy, and Blackberry Blossom. Join us for the Oregon Bluegrass Association's annual fundraising event. We have a new fiddle tune to work on together - Monroe's Hornpipe. We'll play this in class starting soon. Open Mic This Friday Night, January 5th! 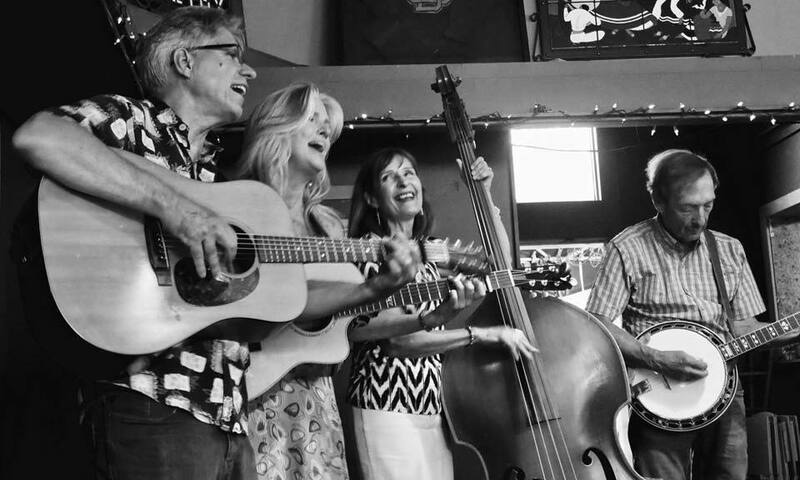 Linda Leavitt hosts her first Friday Open Mic this week at St. David’s in the Parish Hall starting at 6:30pm. Jamming at that time and performances will start at 7pm. Sign up at the door if you plan to perform. This is a real fun and supportive event that gives you the opportunity to perform on stage with a sound system. It doesn’t have to be bluegrass. All genres of music, storytelling, and poetry welcome. $10 admission. Additional $5 if you are having pizza. BYOB.